I have had the privilege of visiting Banff almost annually since 1980 and must admit, I desire to live there some day! In all my travels there, I can claim that there is "as much to do there as you want". It's a magical place to unwind and an incredible place to be active + breath in fresh mountain air. I hope you discover the magic and majesty that awaits you in Banff National Park. Always at the top of my list are the great places to eat. Highly recommend Bison, Maple Leaf, Chucks, Nourish (vegetarian) and the Bear Street Tavern for a tasty dinner on the town. This is a MUST-DO!! 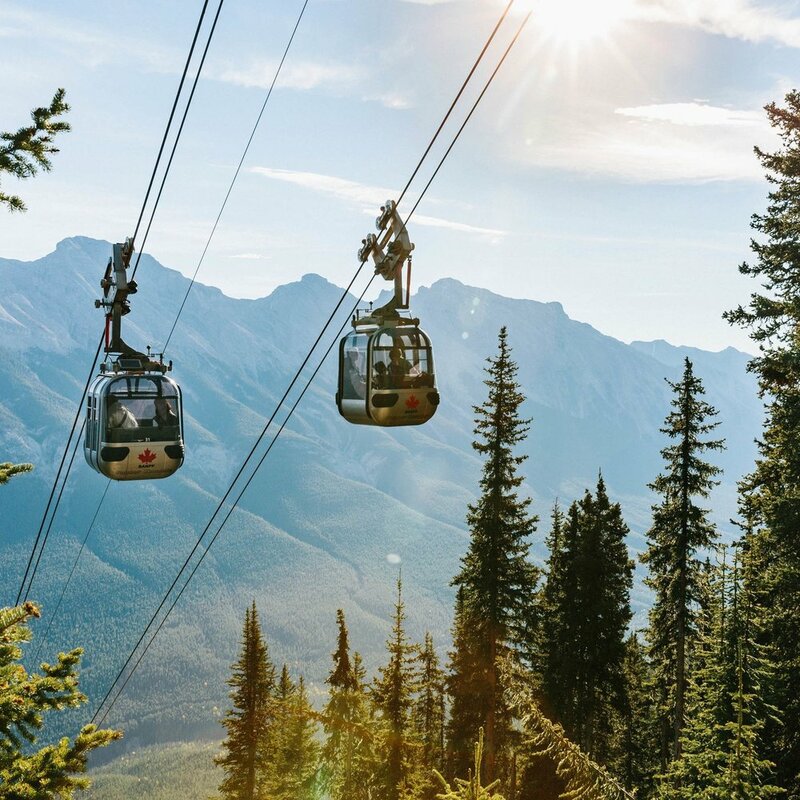 Just a few minutes from Banff, take the gondola ride to the top of Sulphur Mountain for breathtaking views! Not only is the scenery great but you can treat yourself to great dining, the Interpretive centre or a cool hike along the boardwalk. Choose daytime or night time adventures! Check out banffgondola.com for tickets. Aside from strolling the streets of Banff town there are MANY local trails to explore! Bow River to Bow Falls - take a 2 km stroll along the river in town! Photo by: Banff & Lake Louise Tourism / Jake Dyson. Take to the waters for a steamy hot mineral soak! Read more about the springs here. Take afternoon tea or a Happy Hour Cocktail in the Rundle Lounge and enjoy the magnificent views! Check out their website here. Photo by: Banff Gondola by Pursuit. A natural thermal mineral springs discovered in 1883, gave rise to the creation of Banff National Park! Learn more here. There are so many wonderful shops in Banff that offer everything from the latest technical outdoor gear, fashion, original art, handcrafted jewelry, souvenirs and health and wellness. Photo courtesy of Whyte Museum of the Canadian Rockies. 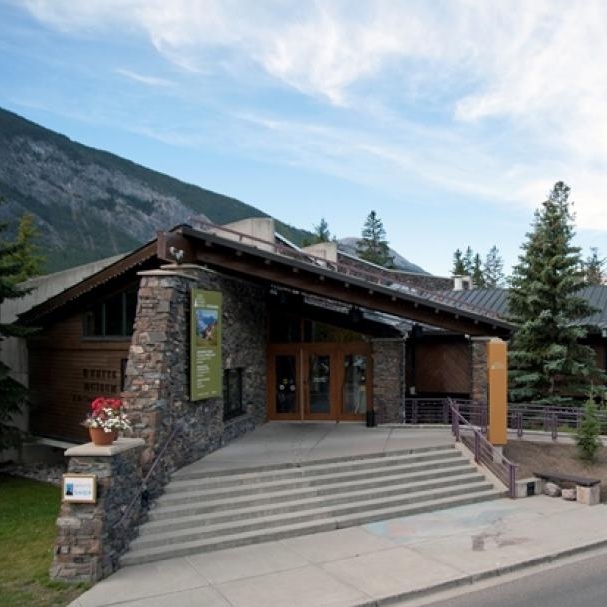 In the spirit of founders Peter and Catharine Whyte, the Whyte Museum of the Canadian Rockies acquires, preserves, interprets and makes accessible the history and culture of the Rocky Mountains of Canada by inspiring and cultivating the exchange of knowledge and ideas through our collections, programs and exhibitions. Its hard to compare the experience of the Willow Stream Spa at the Fairmont to any others. When you combine the alpine air and the magical mineral waters and add a special treatment, you will feel the bliss and relaxation that has won this spa its countless awards and praise. If you are crunched for time but want to take in the local beauty, take the short drive North on Banff Ave and pass under the Trans Canada Highway to start the scenic drive (24 kms total). There are many points to stop at along the way including Cascade Ponds, Johnson Lake, Two Jack Lake and Lake Minnewanka. Along the way is also a historic mining town of Bankheads, which was shut down in 1922. Truly a spectacular drive. Chances are really good that you will spot some Bighorn Sheep or Mountain Goats! Of course I didn't mention the amazing alpine Skiing at Norquay, Sunshine Village and Lake Louise as they wont be open in October. That can be for your return trip to Banff National Park. Please refer to Banff & Lake Louise Alive for more information and other fabulous options!